When I was brand new to building websites and keyword research became a thing, I used free keyword search tools. Free keyword tools used to be a whole lot better in the stone ages of the Internet. The free Google Keyword tool used to be one of my favorites and now I can't stand it. I would not recommend the free Google tool anyone. It has changed a lot. 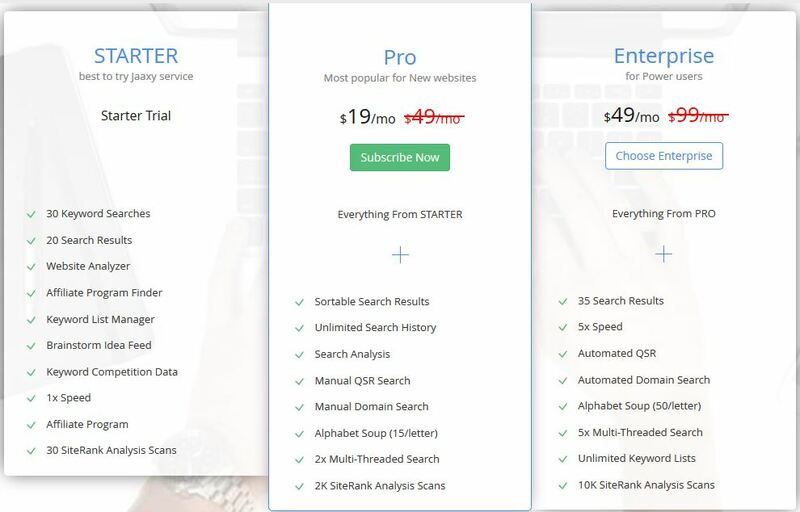 Most paid keyword tools have a monthly subscription – which is great for the keyword search companies – not so good for the Internet marketers – or affiliate marketers – whatever you want to call us people with blogs and websites who are trying to make a living. It seems like 99% of the keyword tools out there want $39-$399 a month to use their keyword search tools. Some paid keyword search tools charge per search. Some may give a few free searches and then charge if you want more. I try to avoid buying tools – especially if it means paying a monthly subscription – forever if I want to keep using that keyword tool. There are very few keyword search tools that are completely free and a bunch that have time limited or data limited trials. There are limitations to all of these free tools – and I will go over more of the free keyword search tools and their limitations in another post. 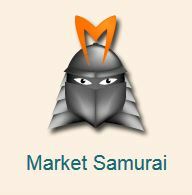 10 years later, Market Samurai is still one of my favorite keyword search tools. And the price is still the same! No monthly subscription. No cost per search. Before you run off and buy Market Samurai – I'm going to show you how you can get a free keyword search tool – Jaaxy. Free is the best way to go when you are first starting a business, you want to spend as little money as possible! When Internet marketing first started, we could pick a broad niche and build a website out in five spokes and expand on each of those spokes. It was very easy to plan out – outline style – or in a wagon wheel picture – and I still do this kind of organizing on every website. Back then, we would pick a 2-3 word broad topic and 5-7 narrower topics as the spokes in the wheel. It was fairly easy to get page one as long as you were also getting back links – this was so much easier 10-20 years ago! Okay. Back to today. A little harder to do. Showing my age experience again. Today – your main keyword for your site should still be 2-4 words long (we still want to keep domain names short) There can be 4-7 smaller spokes in the main structure and many, many pages using keyword phrases that can be 3-7 words long. There are tons of free keyword search tools out there – today, I am going to go over one tool that I have recently found and fallen in love with because it is easy to use, gives good information and it can be free to use – Jaaxy. I'll show you how to get unlimited searches on Jaaxy completely free later in this post. For now, you can create a free account and get 30 free searches. There were two brothers who both decided to strike it rich on the Internet. They had a product and different ideas on how to build a website. One brother hired a web design company, paid thousands of dollars for a website and then hired an advertising company to do pay per click advertising on Google, Facebook and Bing. He spent $10,000 before he saw his first dollar profit and he still has a long way to go before he digs himself out of the hole he is in. Plus, he has no idea how to get traffic without paying for more advertising – and he is not seeing a return on his investment yet. The younger, wiser brother took a training course that showed him how to do keyword research and pick a domain name based on what his customers are searching for. The training included hosting, a free keyword search tool and live help. 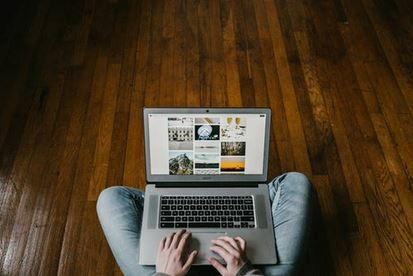 He followed the step-by-step instructions to build an authority website in his niche with content marketing and more keyword research to write informative articles that people want to read. He started with keywords with low competition and low search volume because some traffic is better than no traffic. The more targeted, high quality content he put out, the more people came to his website. His total investment was $359 – within 3 months, he made that back and his traffic and sales continue to multiply. Which brother do you want to be like? My #1 suggestion for newbie Internet marketers is to get yourself an education over at Wealthy Affiliate and then you will get a free keyword search tool called Jaaxy. The $359 a year they ask for the membership is the best investment I have made in a long time! The training is really great – better than any I have seen and it seems like a bargain because of all the extras I am getting with that membership! 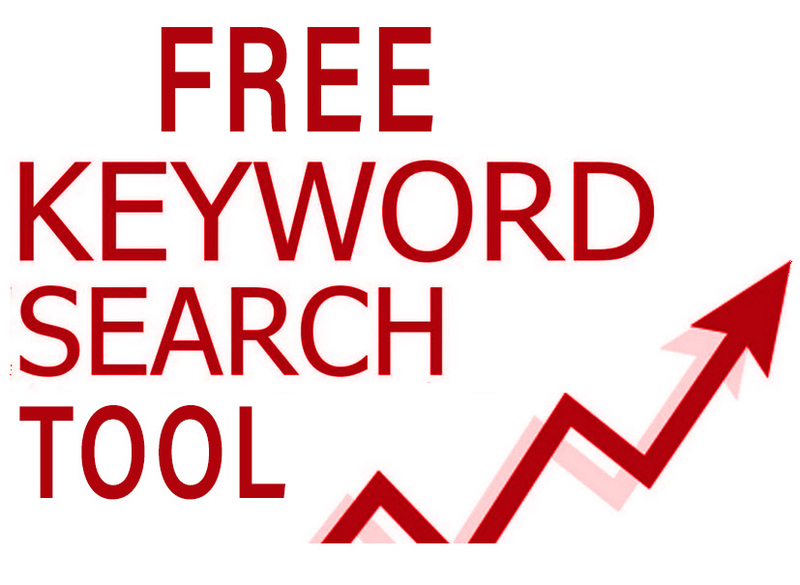 A free keyword search tool – Jaaxy – comes with unlimited searches and tracking for 100 keywords! There is so much more included– it's almost unbelievable – all the perks! Websites that get traffic from the search engines thrive and survive the test of time. Websites that are not on page one for at least some of their keywords and phrases – get very little traffic. That's obvious from this heatmap. The majority of people searching on the Internet are clicking on the top 3 listings. Those website owners that never hit the top 3 positions are seeing far less traffic than those sites that are getting those positions. With all the competition out there for page 1 of Google – it's not easy getting a top 3 position! I built a website, why don't I have a multi-million dollar business? You need to know something about keyword research. ==> You need a (preferably) free keyword search tool that can help you discover the keywords your potential customers are actually searching for. ==> You need to know which long tail keyword phrases are low hanging fruits – so you can reach some customers – even in competitive niches. ==> Size does matter – the size of your market & your competition is important! If you are going to take the time to write a post for your website – wouldn't you like to know there is a chance someone will read it? Why spend time researching a subject and putting out useful information if no one can ever find it? If I were to guess – I would say that “start free website” seems like it would be searched for more often. It just seems to flow off the tongue easier. It seems more natural. Check out what happens when we compare the two keyword phrases in Jaaxy. Notice how I built a free website right in that video? And the whole thing, keyword research plus using the SiteRubix website builder to start a website for free – took less than 7 minutes. The actual building of the website took about 30 seconds! Anyone can give the free, starter trial in Jaaxy a try – you just have to sign up for a free account. So, if you are wondering if you would like this keyword search tool – give it a try – sign up for Jaaxy for free. When I was first looking at Wealthy Affiliate, I remember being confused – I thought I was going to have to pay for the membership at Wealthy Affiliate and pay an additional fee to use Jaaxy. And – I was right! Way back in April of 2013 – when I first looked at Wealthy Affiliate – you only got 30 free searches a month with Jaaxy. Now, and since sometime in 2017 the Wealthy Affiliate Premium membership comes with Jaaxy “Lite” – a special membership with unlimited searches only available to Wealthy Affiliate Premium members. Don't pay the regular prices! The Jaaxy “Lite” membership that comes with Wealthy Affiliate is somewhere in between Starter and Pro — and closer to Pro than to the starter! Right now, I don't see any reason to upgrade. I am getting everything I need in a keyword search tool. 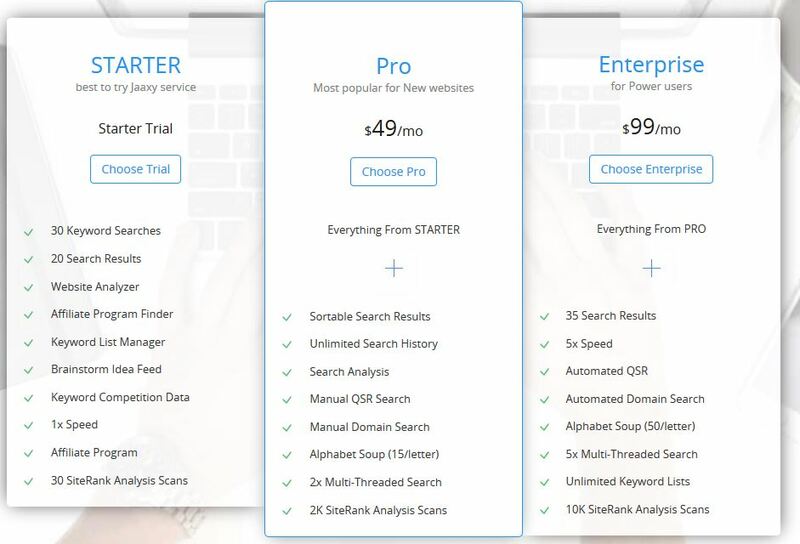 If you want to get unlimited free searches with Jaaxy – why join the Pro Jaaxy membership for $49 a month when you can join the Wealthy Affiliate Premium for $359 a year ($29.92/month) and you get unlimited free keyword searches. You also get a $30 discount on the Pro membership and a $50 discount on the Enterprise membership! Jaaxy is, by far, my favorite free keyword search tool, today. It's fast, it's easy and it gives a good idea of what is competitive. Thank you so much for that. Incredibly informative. Glad you like Jaaxy too – and we can use it for free! I absolutely agree with you! Jaaxy is a wonderful keyword search tool. It’s really easy to use and the resulting metrics are reliable (unlike other keyword tools). Apart from QSR (competition) and Avg (average searches per month) I especially like Traffic indicator (number of visits we’ll get once we get ranked on the first page). I highly recommend to anyone reading your article to go for the bundle: Wealthy Affiliate + Jaaxy. Or at least give it a try, since it’s free to join! I agree – give Wealthy Affiliate and Jaaxy a try – because both are free to try! I love Jaaxy and use it often! It is a no brainer for me to use this over the other options that charge per use! I usually have a million blog related ideas in my head so being able to search as many keywords as I want it great! Thanks for this write up!!!!! 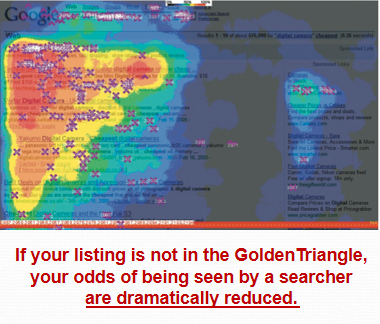 I know – some days I do so many searches – I would feel limited if I had to pay per search! It sounds like the old days with the free keyword search and analysis was quite an adventure. What was it that made Google’s tool so bad? Market Samurai has an interesting business model. One time purchase used to be so much more common several years ago. Cute story about the brothers. This article has helped me understand keywords better. Does Jaaxy, the one you like, give you all the information you need to manage your blog content? I don’t mean everything, but everything related to the keyword management. It sounds like combining Wealthy Affiliate membership with the Jaaxy service that comes with it might be the way to go. Is that your recommendation for a new guy trying to learn all this? Oh, I just saw something I need. You have a tutorial about WordPress. Removing the categories above the title is just what I have been trying to do. 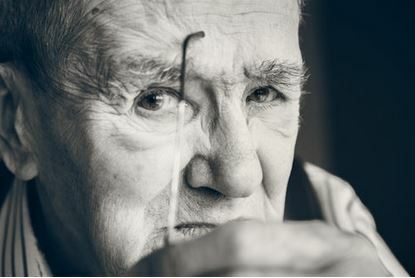 WordPress is easy, but for some of us old folks, it is still a bit challenging. Thanks. I’m glad I helped you understand keywords better. Yes – Jaaxy gives info on competition which I find very useful – QSR, KQI and SEO columns – which I don’t think are available for free – but are available to a Wealthy Affiliate member who gets a Jaaxy Lite membership. For sure, getting Wealthy Affiliate Premium is the way to get Jaaxy. I hope you get rid of the categories above your title – it’s a little advanced. I’d love to hear how you do. This is a great review of, I believe, the best keyword tool on the market today, Heather. Your readers should really take not od this excellent tool if they are serious about blogging. You also mention Wealthy Affiliate. What a fantastic platform to do online business from. The community there are unsurpassed any on the net. Thanks again for this in-depth review. Thanks, Hennie! I could not agree more. You are welcome! Awesome information on Jaaxy and Wealthy Affiliate in this post. I can’t agree more, that Jaaxy is the best keyword search tool, but it has many other benefits as well. Everyone should check it out, especially since it is free to try. But, I say join Wealthy Affiliate and get the Lite version for free and get amazing training on how to use it as well. Thanks, Curtis! I agree 100%! Wow heather that is fantastic, I never knew I had so much to learn. Can I ask, if I am just starting out is the free version a good option to use for a little while until I get a better idea of what I am doing? You can use the free version of Jaaxy while you learn – you will get up to 30 keyword searches a month. That should be enough to get started. Just know that the security on Jaaxy is pretty good – you won’t be able to make up a new email address and start another account and get 30 more searches. They will recognize your IP address and not give you more than 30 free searches on the one account. Awesome article, you’ve done a great job. Thanks for spreading the word, more people should be aware of Jaaxy. As a website owner myself, I can’t imagine my life without it! Thank you! I know what you mean. It’s a life saver! Hi Heather, Thank you for setting you post out so well. You made it easy to follow and kept the interest by telling the story about the two brothers. I think Jaaxy is the best. It works for me. Thanks for stopping by! I’m glad you are using Jaaxy already – it is one of the best tools on the market! Wow Jaaxy looks neat! You can’t beat that price either. People waste so much money on these things it’s crazy. It’s like going and buying a pair of shoes at a name brand store when you can get the same pair at a discount store elsewhere. You just have to take the time to look and do your research. Your scenario between the two brothers building an online business was a great parable. A homerun! Wonderful and complete breakdown on JAAXY. My favorite keyword search tool, by far. I also use the JAAXY Lite through Wealthy Affiliate and have had no problems with the keyword search tool, keeping organized with list or even learning how to use it. Simple and straight forward. Thanks Sanders – I have been writing another post expanding on Jaaxy even more – learning how to use Jaaxy – that was simple wasn’t it. Almost intuitive. 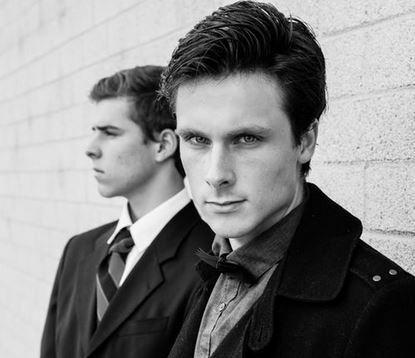 I love the way Kyle and Carson put things together. It just seems to make sense. I’m glad you are using Jaaxy too. Good post about jaxxy keyword tool for keyword research. I have personally researched through out the all top keyword research tools, and I have found jaaxy is cheapest and easiest to use . With advanced features and very good price, it is best to research SEO targeted keywords. You researched all of them? If you wrote about it, please share! I’d love to read it. I have researched a lot of them – and I do think Jaaxy wins by far – I may be a bit biased because I do get to use it free – but it does everything it needs to do – and you are absolutely correct – it is best to research SEO targeted keywords. Thanks for stopping by! I did not know about the unlimited searches within Jaxy as that service was not available when I first signed up to WA so thank you for this article, it will definitely help me. And you have showed me a different way of searching for different keywords which I would not have done before i.e open jay in new tab makes it so much easier to compare. Once again, thank you. Great article. Jaaxy is one of the best keyword tools out there, knowing that you can get it included with all the other perks at Wealthy Affiliate is great information. The interface is easy to use and people can use the 30 free searches to see how well it will make their website business grow. I could not agree more! Thanks, John!